 The Florida Department of Transportation (FDOT) District One is preparing design plans to reconstruct the I-75 interchange with SR 951 (Collier Boulevard) in Collier County. The new interchange will include two new ramps over SR 84 (Davis Boulevard) to provide direct interstate access. The existing I-75 bridges over SR 951 will remain. New bridges to accommodate ramp traffic will be constructed adjacent to the existing I-75 bridges over SR 951. Information on this web site will provide an overview of the project, the project schedule, dates and locations for public information meetings and project contact information. Please check back often for web site updates. I-75 at SR 951 (Collier Boulevard) Interchange. Along Collier Boulevard, project begins at Business Circle South and extends 1.3 miles to City Gate Drive.